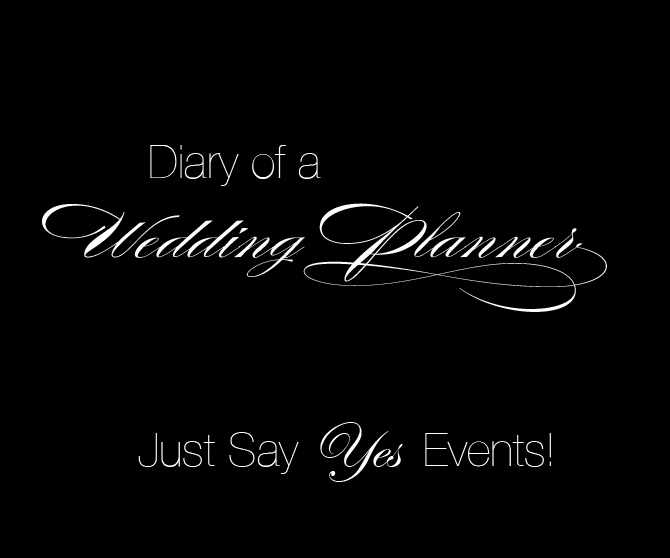 Just Say Yes Events: Tailored to perfection. Brides spend months looking for the perfect dress so why shouldn't the groom do the same. I feel the groom should look handsome, confident and comfortable on his wedding day and the best way to achieve this is with a custom made tuxedo or suit. 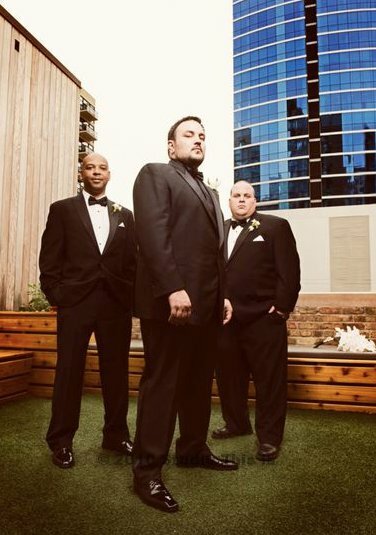 When you step into the custom world you will see it is a great experience and ensure that your tuxedo reflects you on the most important day of your life. There is nothing like putting on a garment of clothing and having it fitting impeccably, knowing that it is unique to just you and that your garment has been cut by hand to your specifications. It shows that the client is #1 to him and he strives to make sure they have exactly what they want for their big day. When It came time to plan our wedding and finding the perfect dress I knew that we had to find the perfect tuxedo for my future husband. I recommended Eric to my fiancee and he was thrilled about wearing a custom tuxedo for our wedding day. 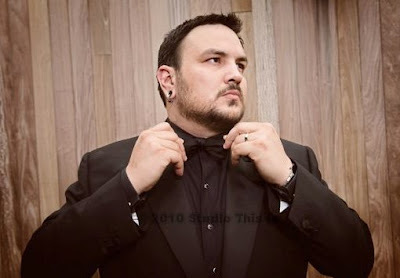 I have to admit My fiancee Daniel spent more time selecting his tuxedo than I did searching for the perfect gown. He had a wonderful time with Eric selecting fabrics, styles as-well as special personalized touches to reflect his personality and style. I remember walking down the aisle looking at Daniel and checking out his tuxedo since he did not allow me to see it. After the ceremony he showed me and I was very impressed with all attention to detail and how much the tuxedo reflected Daniel. The lining of the tuxedo was lined is a gorgeous red silk lining which is also his favorite color. They worked together on selecting all the details that would work for Daniel such as: Peak lapel, double vents, besom pockets and even loop to secure boutonnière in place. Eric also made a tuxedo shirt for Daniel in black with picque bib & peak collar which Eric said was a first! He loved the idea of the shirt being black and not your traditional white and for those who don't know my husband his entire wardrobe is black!! He was very proud of his tuxedo, looked absolutely amazing and was beaming with confidence. Now let's talk about suits! Oh yes every man should own a well made and tailored suit. Many couples opt for a more casual wedding and the groom normally wears a suit. What man wouldn't want to own a custom made one of a kind suit in his wardrobe. If you are going to wear a suit for your wedding you should invest some money and ensure that it will last for years to come as I live by the motto "You get what you pay for"
This would even be a great grooms gift surprising your future hubby with the experience of designing his own suit, Just an idea! Here are a couple images of Daniel in his tuxedo. Balani Garments are made-to-measure in Asia which is fine if you are looking for that kind of garment. A push up pocket square or whether or not you want a cuff on your pant is far from custom anything!